If you love beer, then you will already know just how great craft beer can be. It’s not always cheap, but each craft beer has its own distinguishable flavor that’s hard to miss. And if you make the right choice, you are sure to try it out time and time again. Today, we’ll talk about one such craft beer – one that has made quite a few heads turn around and take notice. We’re talking about hip-hop artists Run The Jewels, who has launched their second craft beer following the massive popularity of their first one. It’s always good to have a nice chilled beer to go along with your music. It seems the idea is already being used by the artists to cash in on the trend and give us a whole new experience. 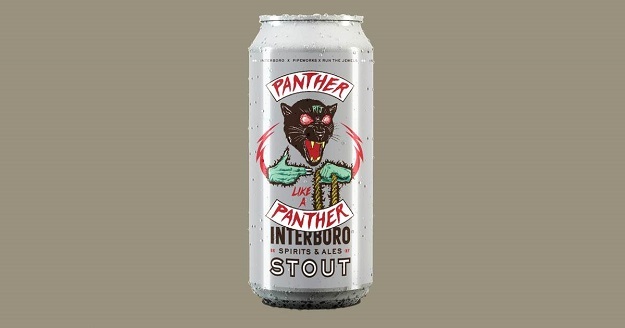 Run The Jewels (RTJ), the hip-hop duo has revealed the plans to launch their second craft beer called Panther Like a Panther Stout. You may have tasted their earlier version of the craft beer they released in 2017. Panther Like a Panther Stout follows the 2017 Stay Gold IPA and adopts some innovative recipes. RTJ has partnered with top names of the craft brewing industry. Each of them will be working on a unique recipe to get the fans happy and tipsy. The duo has ties up with Miami’s J. Wakefield, New York’s Interboro and Pipeworks from Chicago for their next venture. Interboro is engaged in developing a traditional stout while J. Wakefield is coming up with stout infused with coffee for a new flavor. Pierworks is on their own recipe of blending a nice combination of porter with aged beer from bourbon barrels. Drinkers are going to love the artwork of the beer containers which is created by the well-known artist Jermaine Rogers. You can see his works on the labels of The Beastie Boys, David Bowie, Foo Fighters, Radiohead and a number of famous bands and artists. The beers are uniquely named after the songs of the album RTJ 3 which took the group to the heights of its success. You may already be able to taste the Panther Like a Panther which has been launched in February. But you have to wait for a few more months to taste Legend Has It Pilsner and Down Double IPA which is set to hit the markets in October this year. The hip-hop stars also have plans to work with BRLO craft brewery of Berlin to create a CBD-infused alternative of the Legend Has It Pilsner- but its only available in the Europe for now! RTJ may be releasing their next album this year as they hinted in Twitter in 2017 about the RTJ 4 project. There is no more news about the project right now and it looks like the fans will have to wait for new songs for a while. But in the meantime, they can enjoy the Panther Like a Panther Stout along with their favorite hip-hop number from the duo!